We have published a new book for Christmas, as a family project. 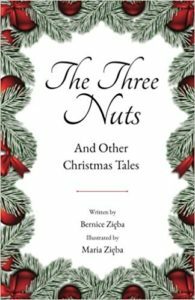 The Three Nuts contains fairy tales and legends. For each sold book a small contribution goes to our large family! Recommended for Christmas time or as a sensible gift.